Former Philadelphia 76ers guard Allen Iverson talks to reporters during a news conference in April after being voted into the Basketball Hall of Fame. Philadelphia 76ers legend Allen Iverson sat down with Complex’s Speedy Morman for a 24-minute interview to promote his new shoes with Reebok, and it’s a real treat. Iverson touches on everything, from the NBA’s current fashion-forward trend to his relationship with Biggie. My personal favorite moment, however, comes when The Answer explains how his very first, extremely brief conversation with Michael Jordan went in 1997. That is some good stuff right there. Even on a night that didn’t matter to Jordan at all, at a game in which Jordan wasn’t even playing, Jordan couldn’t let a young Iverson breathe. Iverson scored 19 points and dished out nine assists in that rookie game. 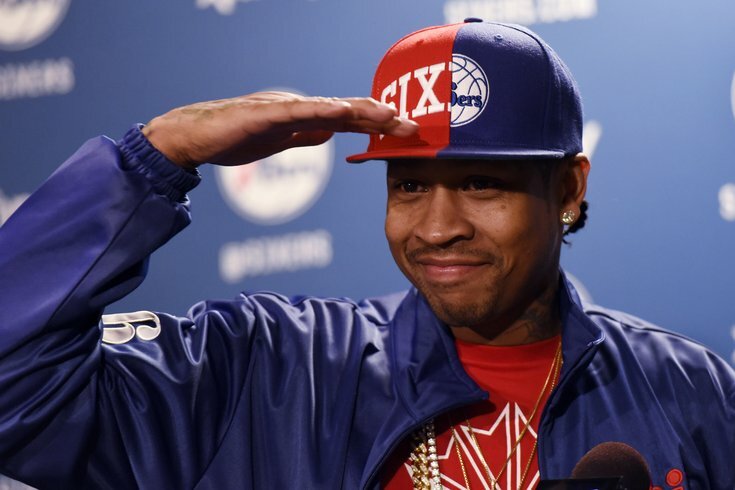 Thank you, Allen Iverson, for your always-entertaining presence. Never change.